U.S. Go Home (France, 1993), an hour long contribution to the fabled French television series Tous les garçons et les filles de leur âge, was one of the great coups of the Pacific Film Archive’s Claire Denis retrospective, as it has become practically impossible to see (legally), particularly on this side of the Atlantic. And it really is a shame that it is so completely unavailable–there’s a sweetness and charm to it that doesn’t really appear elsewhere in her work (the possible exception being Vendredi Soir, though that’s of a much more of an adult fantasy). A wisp of a narrative co-written by Denis and Anne Wiazemsky and featuring Alice Houri and Grégoire Colin as siblings several years before they would do the same in Nénette et Boni, one the surface the film is a rather overfamiliar sexual coming-of-age story set in the 1960’s, but it is elevated by the tenderness of its observation. There’s a wonderful, extended sequence early on involving Colin, where, alone his bedroom, a despondent feeling of restlessness slowly gives way to a spontaneous, ebullient catharsis as he tentatively begins to dance to a record of The Animals’s rollicking “Hey Gyp.” Mumbling along with a few English phrases, epileptically keeping time to the beat, it’s the type of private moment usually experienced alone behind locked doors, which makes it all the more remarkable to witness on a screen (also, one can’t help but feel the enigmatic conclusion to Beau Travail starting to germinate here). 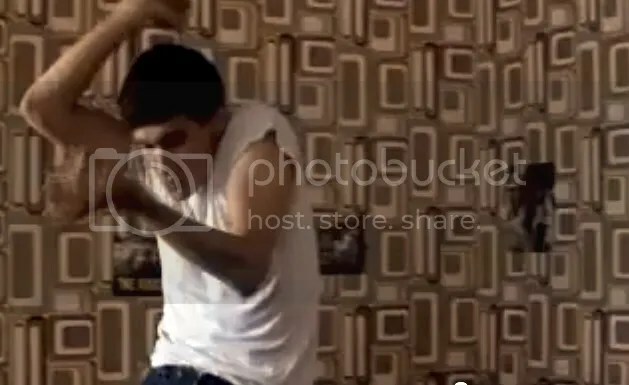 The bulk of the film, however, takes place during a boozy, dimly lit house party and the drama takes place in fleeting facial expressions and awkward gestures on an impromptu dance floor in a darkened living room which begins to take on larger mental and emotional dimensions as it becomes a site of initiation into adulthood for Houri in particular. And while I’m not exactly sure what the exact circumstances are that have has made this film so completely unavailable, it wouldn’t surprise me if the soundtrack, which is chock full of English language music from the period (not just The Animals, but Nico, The Rolling Stones, The Yardbirds, Prince Buster, among others), poses substantial rights issues. Which is unfortunate, because it really is itself an important rite of passage exercise in Denis’s overall filmmaking trajectory; admirable on its own, but even more impressive when considered within the context of her ever-expanding body of work.